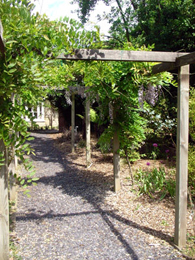 The Wigwam Centre is a centre tailored to quiet retreat and spiritual direction. Surrounded by a Victorian brick-walled garden, it is situated on a quiet private road in an idyllic rural setting of peaceful Norfolk countryside and farmland. 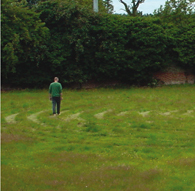 An eleven-circuit Medieval Labyrinth has been created in the meadow behind the Wigwam. The Wigwam Centre is close by Knettishall Heath Nature Reserve, Redgrave and Lopham Fen and the ancient pathways of Angles Way and Peddars Way . St Peter's church is close by and available for use by prior arrangement.